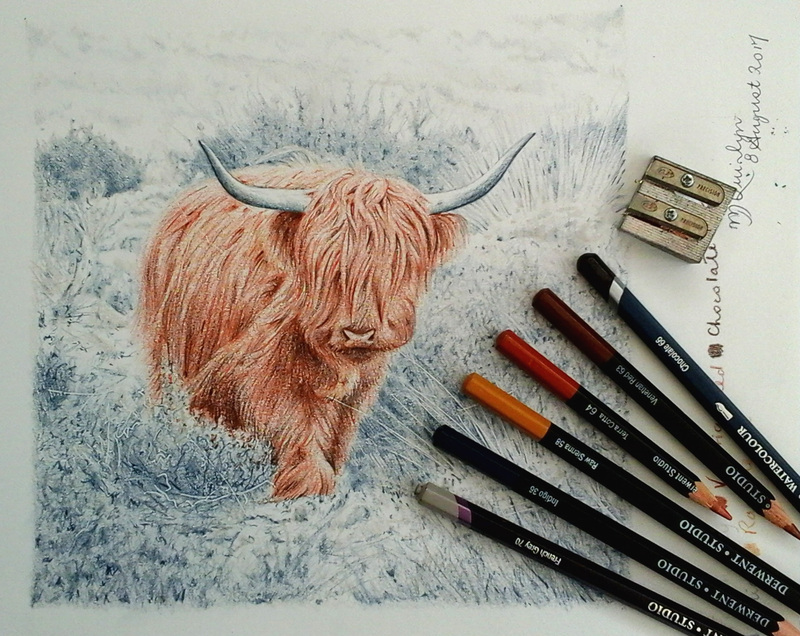 Michael the minimal colours you have used to create this wonderful piece have almost made it feel mystical, I think the use of the French grey you have used for the grass and the background have added to the presence of the highland cow. Even though you only gave yourself a three hour time scale, you have once again captured the very essence of the animal, and the detail you have put in is amazing for the time scale. I have also enjoyed reading about your first job and finding out about how you started on your way to become the fantastic artist you are today, keep up your amazing work and as always look forward to reading your blog, yours nd.